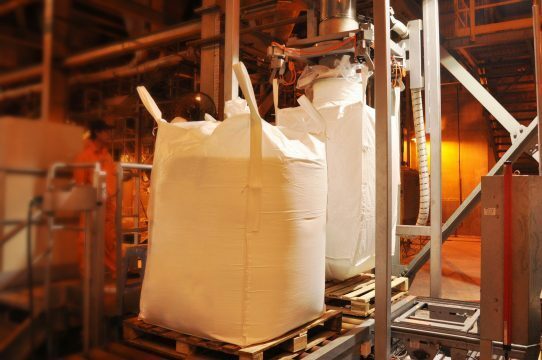 Bagging system is capable of packing a lot of types of bags according to specific requirements of each market. This is a plus point for the Long Son cement products when exporting to regional markets and in the world. Jumpo bagging system has a design capacity of 500 t/h at the factory along with the systems of port & distribution station constructed by Long Son Co., Ltd. That helps the transportation and supply of cement products to domestic and international markets be more favorable creating powerful competitive advantage. The use of automatic jumbo bagging machine designed scientifically helps pack and quantify products accurately. Furthermore, the design of material exhaust pipe into the bags is designed uniquely which allows to minimize the amount of dust released into the air to protect the environment.